Property Markets Group is drawing up plans to open another Chicago rental complex under its “X Social Communities” brand, expanding a small but growing stable of high-end co-living options. 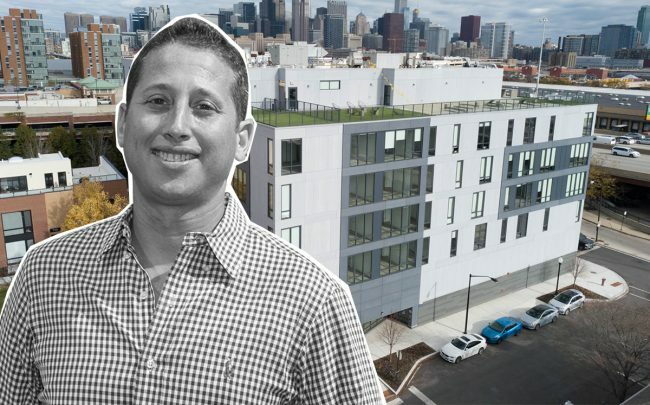 The New York-based developer will announce the new location within the next six months, adding to the more than 10,000 units in “X” buildings either operating or in the development pipeline across the country, principal Noah Gottlieb told The Real Deal. PMG has already built three such complexes, including two in Chicago and one in Miami, and another six are set to open by 2021. The firm, led by founder Kevin Maloney, offers a mix of traditional apartments and individual bedrooms in shared units. PMG in 2016 completed the 120-unit “X Logan Square,” later renamed to “L Logan Square” for the CTA train car lifted onto its roof, and two years later the developer followed up by opening the “X Chicago” at 710 West 14th Street in the University Village neighborhood. It offers beds starting at $995 per month. In December, PMG and co-investor Raven Capital Management secured a $30.7 million loan for the University Village building from NXT Capital. It had secured a $20.4 million construction loan from Principal Life Insurance Company in January 2017, according to Cook County property records. The building is “almost entirely full” about nine months after it opened, he added. The “X” buildings face a local competitor in Quarters, a 175-unit co-living complex opened in Fulton Market last year by the Berlin-based Medici Living Group. Bungalow, a co-living startup based in San Francisco, also broke into the Chicago market last year. But instead of developing new rental space, the company master leases existing buildings and rents out bedrooms in shared, furnished apartments. Between 15 and 50 percent of apartments in each new building are shared, with the rest rented on a traditional per-unit basis. The proportion of shared space is higher in cities with higher rates of out-of-state migration, Gottlieb said. The expansion hasn’t been all smooth. The city sued PMG on Feb. 1 over heating issues in its X Chicago building, joining of a wave of landlords taken to court during a record cold snap that week. The case was dismissed “with full compliance” earlier this month, a city spokesperson said. The developer is also locked in a protracted court battle over its 465-unit “Parkworks” proposal in Pilsen. Alderman Danny Solis (25th) re-zoned the 8-acre property to block the proposal, and Property Markets sued the city in response, calling the zoning change illegal. X Social Community apartment buildings are in the planning or construction stages or under construction in Phoenix, Oakland, Denver, and multiple cities in Florida. Gottlieb said it was also looking into new proposals for Houston, Atlanta and Minneapolis.